Below is a guideline for our pricing and deposits. 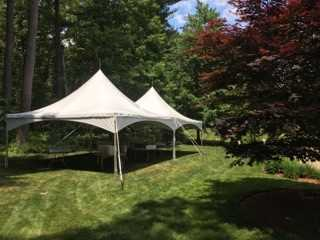 Please speak to your event representative for more specific rental information related to your quote. Prices quoted are for one-day rental (unless otherwise noted) and do not include delivery, tax (if applicable), damage or damage waiver fees, setup and/or break-down charges. A 50% non-refundable deposit is required to reserve Skyline products at the time of booking. Deposits can be made via cash, check, or any major credit card. Custom orders will require a non-refundable 50% deposit at the time of booking and 100% payment 30 days before the event. If payment is not received by these times Skyline does not guarantee that the product will be delivered on time. A damage waiver fee is charged on all rentals. The fee is 5% of the total rental cost. This fee covers minor damage that can occur during an event for any reason (less than $500 in value). The customer is responsible for any missing or damaged equipment above $500 in value. To avoid additional fees, all equipment must be repackaged in the same condition as it was received. For example, chairs and tables must be stacked as they are delivered. If you prefer a more hands off experience, please just let us know beforehand and we can request that our field team handle the repacking for an additional cost. It is the customers responsibility to clearly mark any private or public underground utilities such as septic systems, gas lines, electric lines etc.. It is also the customers responsibility to notify Skyline of any other condition that would interfere with staking and/or anchoring all rental equipment. All tableware, linens, and cooking equipment must be wiped free of food or trash. Linens should be placed into return bags provided by Skyline. Again, If you prefer a more hands off experience, please just let us know beforehand and we can request that our field team handle the repacking for an additional cost. Rental items must be protected from weather at all times. Items that are added to your order for the same day, after business hours for the following day, or after delivery will be subject to additional fees. 48 hours notice of cancellation must be given or restocking fees apply. Orders cancelled the day before, day of or at the time of delivery are non refundable. Delivery & Pick Up charge is quoted as a round-trip fee. Delivery/Pick Up Charges are based on time and location of the delivery. Normal Delivery Hours are 7:00 AM – 5:00 PM. If you prefer an onsite Skyline representative for your event, please request with 7 days advanced notice. Site support can handle anything from moving tables and chairs to on-demand sidewall installation. They can also handle last minute errands if you’re too busy with your event. Let us know how we can help! 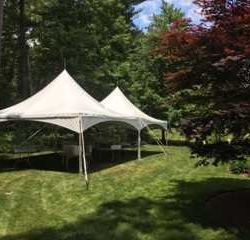 Tent will be erected in the location you choose if possible. 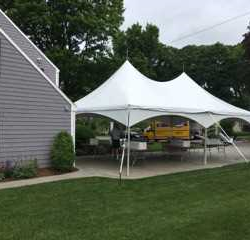 If not possible, Skyline Event rentals will erect the tent as close as possible to the original selected location. 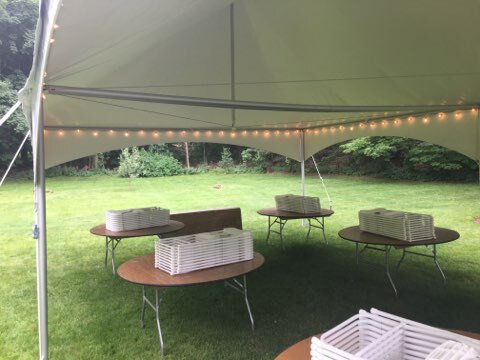 Chairs, Tables, and Linens (if ordered), will be stacked neatly in the center of the tent. It is your responsibility to manage the layout of the items. If you prefer, Skyline will accommodate the setup and restacking of tables and chairs for an additional cost. Chairs, Tables, Linens (no tent). If you order chairs, tables, and linens, we will deliver them either inside or outside to your specified location. If there is no tent covering the chairs and tables, it is your responsibility to protect the items from weather. About two weeks before your event date you should expect to receive a phone call and/or email from our field staff. 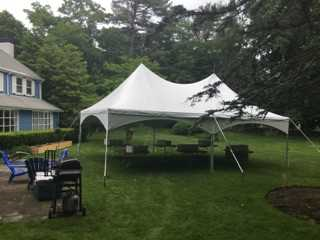 They will ask you questions about the tent location and assess whether staking is an option and request the second/final payment. If staking is not feasible, a small fee may be added for the transportation and usage of water barrels. Better safe than sorry! Please plan on marking any underground utilities, piping, septic systems, and/or wiring before Skyline Event Rentals arrives on site for delivery. 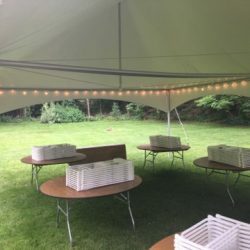 Skyline Event Rentals assumes no responsibility for damage related to staking tents to the ground. If you are uncertain about the whereabouts of your underground systems, you should request water barrels be used in place of staking equipment. 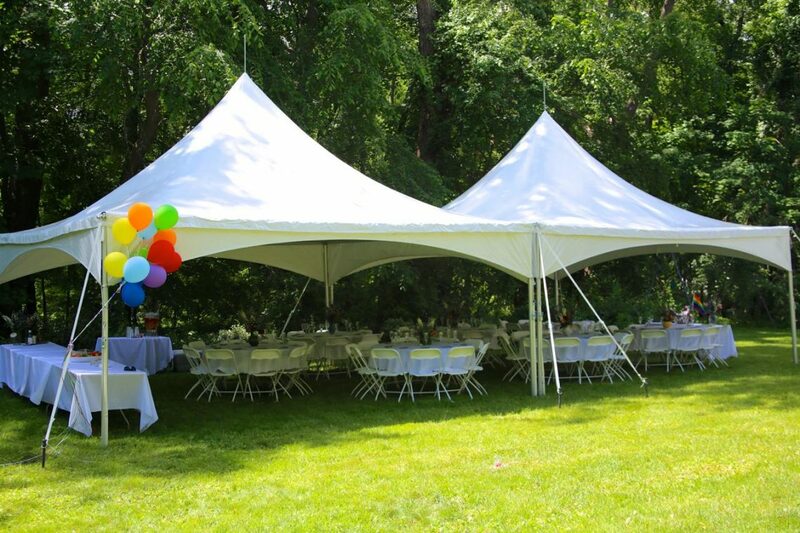 For 80 person packages, you should expect to see two 20×20 tents with a seamless gutter system in the middle. 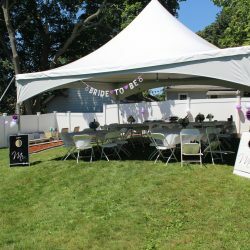 40 and 60 person packages include one tent. 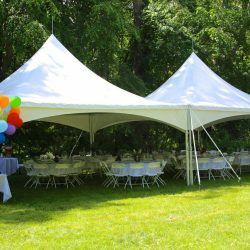 For tent setup, you should expect to see the tent erected one or two days before your event unless specifically noted otherwise. Takedown will happen one or two business days after you event. If you ordered a dancefloor it must be on extremely level ground. In order to put a dancefloor on uneven ground we would require a carpenter to frame out the required area at a supplemental cost. This can be very expensive, so please plan accordingly. If Skyline arrives on site and is unable to install a dancefloor, the dancefloor cost will be refunded; however, restocking and transportation costs will be incurred as a result. (50% of rental cost). Below is a guideline for our pricing and deposits. 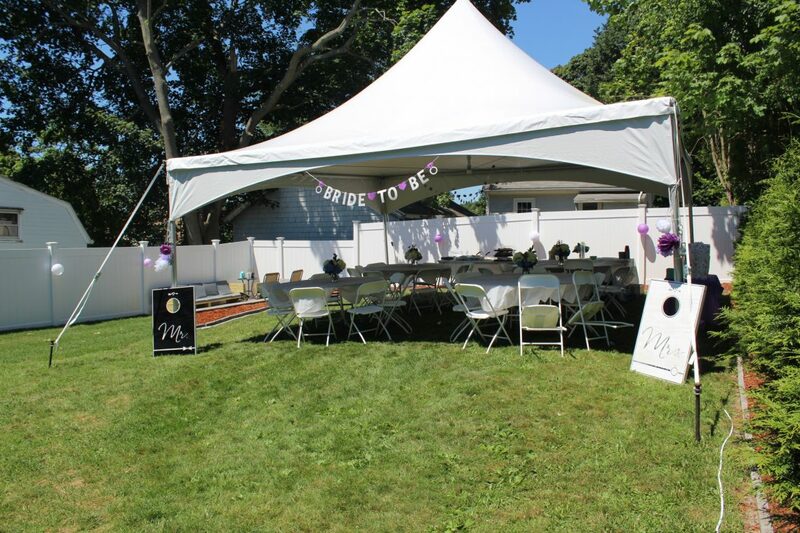 Please speak to your event representative for more specific rental information related to your quote. Policies are subject to change without notice. Prices quoted are for one-day rental (unless otherwise noted) and do not include delivery, tax (if applicable), damage or damage waiver fees, setup and/or break-down charges (unless noted in invoice/quote). No orders are confirmed until initial deposit is received. An initial 50% refundable deposit is required to reserve Skyline products. Deposits can be made via cash, check, or any major credit card. Initial Deposit becomes nonrefundable 14 days before the event. This includes initial bookings that happen less than 14 days out from the event date. Custom orders must be paid in full 45 days before the event. If payment is not received by these times Skyline does not guarantee that the product will be delivered on time. A damage waiver fee is charged on all rentals and is not optional. The fee is 5% of the total rental cost. This fee covers minor damage that can occur during an event for any reason (less than $500 in value). The customer is responsible for any damaged equipment above $500 in value. Missing equipment must be paid for in full at replacement cost, not depreciated value. To avoid additional fees, all equipment must be repackaged in the same condition as it was received. For example, chairs and tables must be stacked as they are delivered. If you prefer a more hands-off experience, please just let us know beforehand and we can request that our field team handle the repacking for an additional cost. All equipment must be wiped free of food or trash. Linens should be placed into return bags provided by Skyline. Again, if you prefer a more hands-off experience, please just let us know beforehand and we can request that our field team handle the repacking for an additional cost. Rental items must be protected from weather always. Linens are required for the use of our tables. You do not have to rent linens from Skyline. Any damage from food, drinks, breakage, or abrasion will be the customers responsibility. 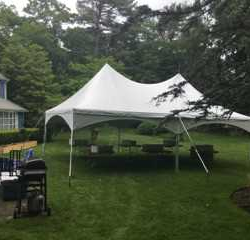 There is no cooking, use of grills, unauthorized heating equipment, or unauthorized lighting allowed under our tents as damage can occur. 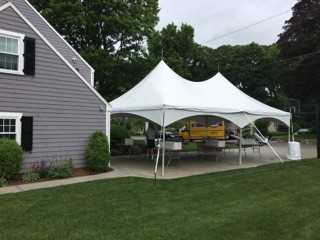 Smoke, heat, and fire damage (odor or soot) will result in the customer paying for the cleaning or replacement of our tents tops, sidewalls, or other equipment that suffers as a result. No outdoor fires are allowed within 100 feet of our tents. Check will your fire department for local fire regulations. 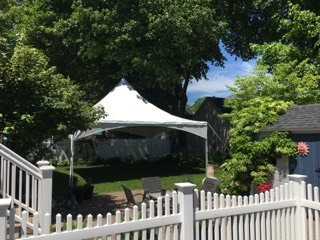 Landscaping damage from water barrels, dance floor, staking and anchoring, and other rental products should be expected. Skyline will not be responsible for the repair of these items as they are unavoidable. 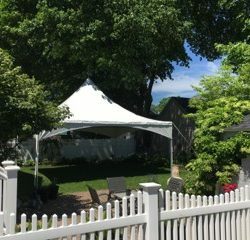 If you choose to stake your tent to the ground, Skyline will not be responsible for any septic, irrigation, or utility damage. These items MUST BE CLEARLY MARKED to ensure no damage of this nature occurs. Items that added to your order for the same day, after business hours for the following day or after delivery will be subject to an additional emergency fees. 48 hours’ notice of cancellation must be given, or restocking fees apply. Please note that 48 hours out, your 50% deposit will be forfeited, AND restocking fees will apply. Orders cancelled 24 hours before, day of or at the time of delivery are nonrefundable. Rental Items may not be exactly as pictured on our website. Ask your event representative if you have any concerns. Charge is quoted as a round-trip fee. Normal Delivery Hours are 7:00 AM – 5:00 PM 7 Days per week. Requests for delivery & pick up outside of our normal hours will incur additional charges.